You can also visit two different exhibits – Celebration Gallery and Celebration Hallway to view iconic ships from the Rebel Alliance and Imperial Navy fleet, as well as replica Star Wars props and murals. If you are excited for the upcoming film Star Wars: The Force Awakens head to Preview Gallery to explore an area filled with costumes, artwork, models and more from the new film. And of course, shoppers can get their fix at Launch Bay Cargo, a unique shop that will offer a wide selection of Star Wars merchandise, including original artwork. 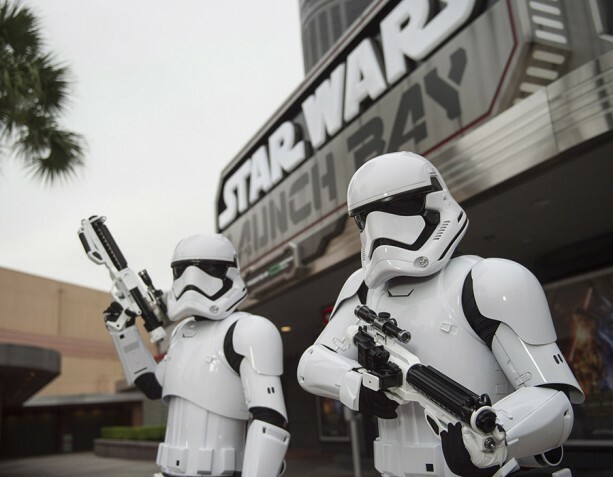 This popular attraction, which takes you on a daring journey through the Star Wars galaxy, has been enhanced to feature new characters and adventures from Star Wars: The Force Awakens.